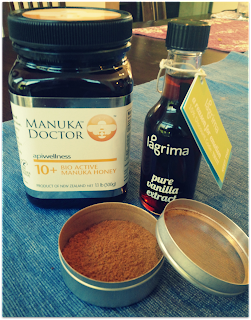 Having recently attended the 2013 International Food Blogger's Conference, we came home with a great deal of swag, particularly small sized samples of gourmet and healthy food. You might have seen Heather's picture of our counter. Being local, which meant we drove home each night, many companies would push us to take their extras. And we sure did, didn't we? Last weekend, with the onset of fall in the Pacific Northwest, I decided to make Pumpkin Spice Almond Butter Muffins, which I saw posted on Hybrid Athlete. Not only were the muffins paleo and had fall flavors, the recipe called for ingredients which I had received as swag at the conference. The honey, vanilla and cinnamon were all conference swag. 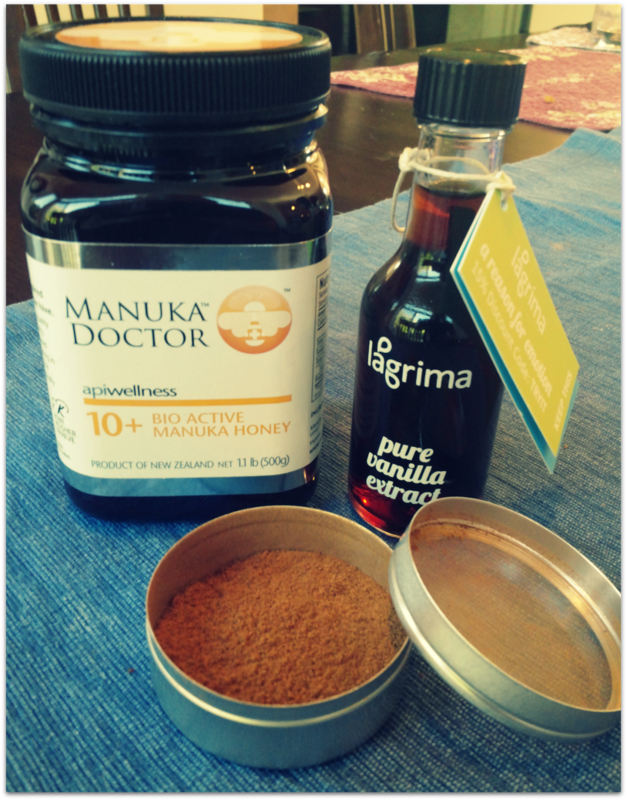 Manuka Doctor Honey - Manuka honey from New Zealand with supposed health benefits. But what is really awesome about it is the flavor and consistency. It's thick, not like runny corn syrup honey with a nice floral taste. While I've cooked with it some, I've probably eaten just as much straight from a spoon. Lagrima Vanilla - Lagrima Vanilla is a local, boutique vanilla producer. The vanilla is smooth, without that bite that comes from most commercial vanilla. They use Ugandan beans and manufacture just a few cities north of me. I hope to check out their production facility someday and share that adventure on my blog. Yen Bai Cinnamon - Sahale Snacks has scoured the earth and found the best tasting cinnamon in the forests of Viet Nam. It has a much brighter flavor than other cinnamons I've tasted, with spicy bite more like red hots. The muffins were a nice treat to welcome fall. My kids snatched up four before I even had a chance to eat any. Luckily, I was able to save some for my breakfasts at work - the idea was to make breakfast for the week, but alas, after my kids, there were only enough for two breakfasts (with some nice leftover frittata). Using a few tips I got during the food photography sessions with Andrew Scrivani (just go watch his blog for a few minutes), I took this picture for your enjoyment! Eat clean and stay fit!